Each one is different from each other, each with its own specific characteristic, with its own color and with its own peculiarity. We like to share with you the choice of room that follows your holiday idea, your style and the type of stay you have in mind to do. 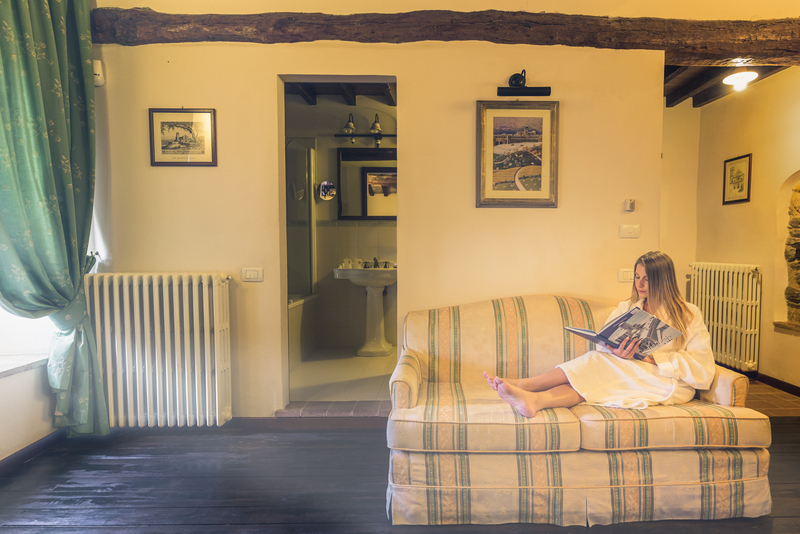 The 20 rooms are divided into Classic, Junior Suites and Suites, and are perfectly integrated with the original styles of the fortress, preserving the typically medieval atmosphere intact. 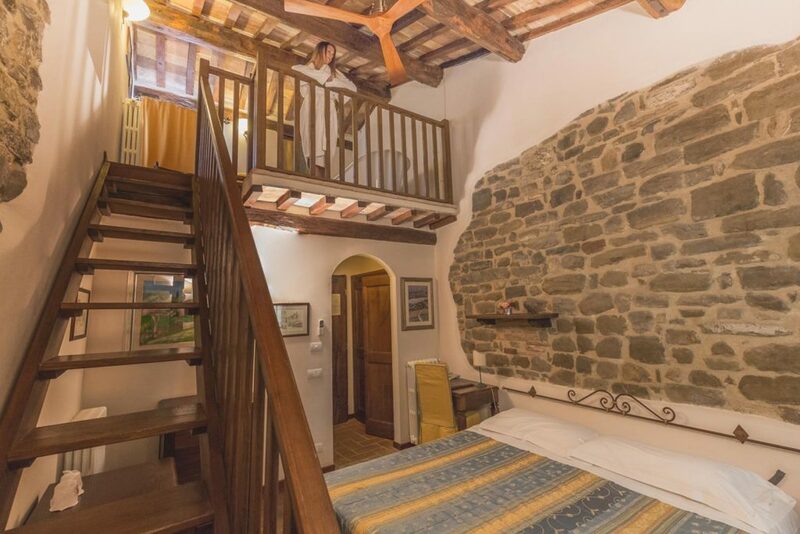 The rooms are enriched with wood-beamed ceilings, stone walls and historic items. 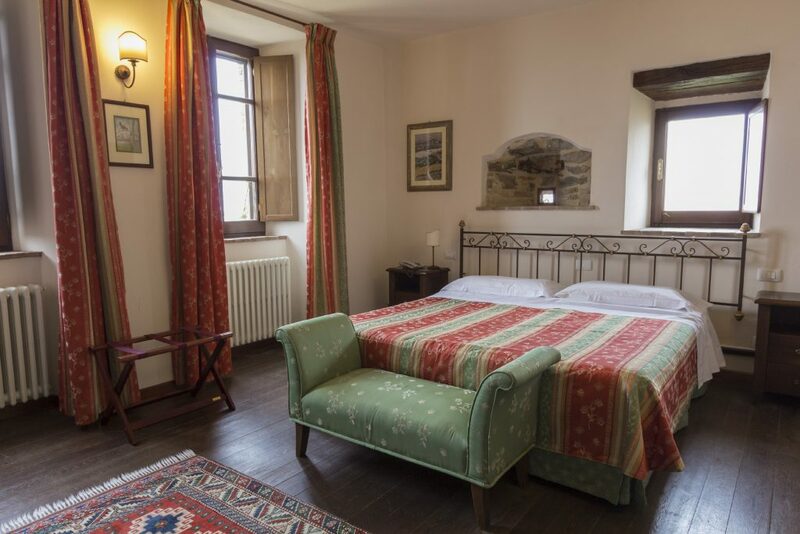 They are finely furnished with warm natural wood furniture, in full respect of the Umbrian tradition, enriched with precious fabrics and wrought iron beds that embellish the refined room.